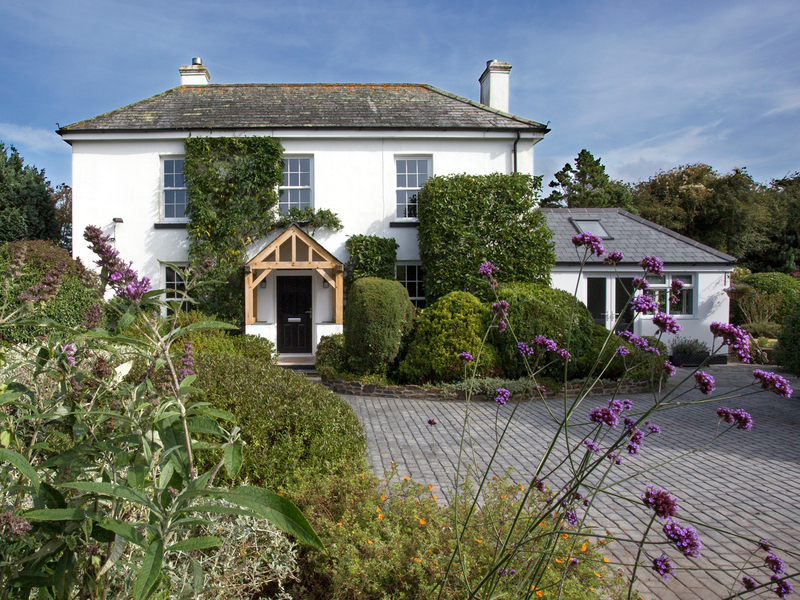 Penlaurel is a superb all-white detached cottage with sash windows, positioned in the small hamlet of Daw's House, on the outskirts of Luanceston in Cornwall. It offers six bedrooms; three king-size double, one with en-suite shower room, sleeping six altogether. Inside is also a family bathroom, kitchen with TV area, utility, dining room, sitting room and study. To the outside is an enclosed garden with a patio, hot tub and barbecue area as well as ample off-road parking. Penlaurel is a revitalising stay in a delightful region of England.